specialized in Business support and PMO. Above all, it is a small and versatile company whose functioning does not follow bigger consulting firms who are drowned in their processes, bureaucracy and politics. At I-RH Partner, everyone is important and plays a major role. More precisely, employees are part of a flat hierarchy, which offers them freedom in their daily activities. In short, it is a human sized company and a great place to work! I-RH Partner promotes the idea of “well-being @ work” and uses it as a performance generator. Good working conditions and employee satisfaction are leitmotivs that we share inside the company. This is the proof and also the source of our constant motivation. 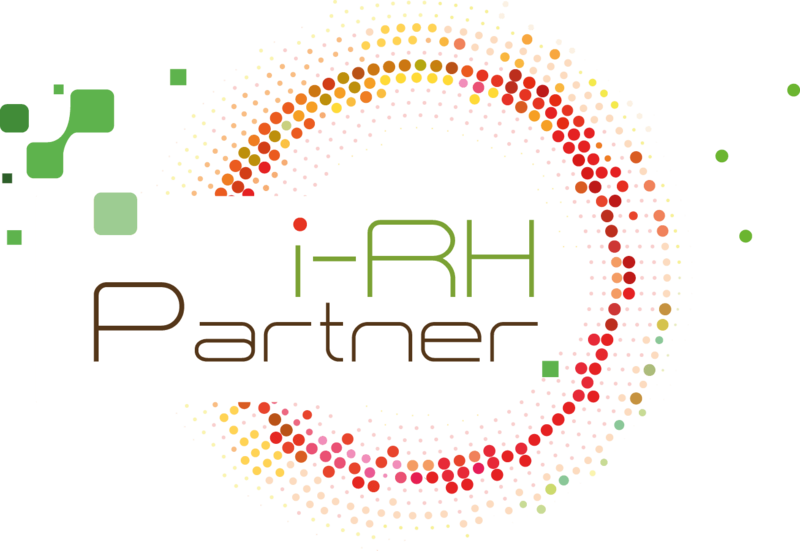 I-RH Partner’s consultants are multi-skilled and have multidisciplinary profiles. Thanks to this, we are able to offer a bright range of solutions to our customers. We think, it is with the help of humans and the integration of new digital tools that we manage to optimize and improve the functioning of an organization. Good mood and spontaneity are part of our functioning BUT I-RH Partner is also a consultancy firm where excellence reigns. In our daily activities, we illustrate this through our actions, the relationships with our partners and our customers. At I-RH Partner we define ourselves as free spirits. On top of offering our experiences and dynamism, we also like to innovate and therefore, free us from the constraints that can hinder our creativity. After 16 years of solid experiences in HR, he decided to create his own business… Olivier offers his support on a broad range of topics: strategic alignment of the HRIS, support in the choice of supplier and the deployment method and project management. Recognized for his technical and organizational skills, he has already worked for major French and international businesses and on major projects. With his expertise, Olivier wanted to create his own company; a consulting firm that shared his, his subordinates and his clients’ values. Beyond the fact that he possesses strong linguistic abilities (French, German and English), this first collaborator has proven to be an expert in the integration of Human Resources Information Systems. Due to his international experiences with large companies, he has acquired strong change management, project management and digital transformation skills. Apart from the technical side, Sven is also a certified HR and work and organizational psychologist. After a Master’s degree in Political Sciences and an International MBA in HR, Pierre had several experiences with international companies and abroad. In addition to his HR knowledge, the projects he worked on allowed him to master multiple aspects of training: strategy, training management, knowledge management and learning & development. Fluent in English (with notions of Spanish and Chinese) and with numerous intercultural experiences, Pierre will know how to develop a trustful relationship with your co-workers all around the world. His affinity with Information Systems and his pedagogical qualities have led to several successes in change and project management. Due to his past experiences in international companies, Aref has developed a strong interest for subjects related to digital transformation. More precisely, change management, project management and HRIS tools, are fields on which Aref likes to work. In addition to this, Aref has managed several projects related to training strategy and administration. It allowed him to develop a certain expertise in this field: digital learning, educational engineering, redesign of learning department. Finally, thanks to his linguistic abilities (fluency in English, French and Arabic), Aref will know how to adapt to different cultural environments, and thus, establish a trustful relationship with your employees. After starting his career on HR projects within a big international company, Kévin covered various aspects of the HR function (HR development, Recruitment, Payroll and Personal administration…), which helped him to grow as a true business partner. His project mindset combined with his HR knowledge allows him to work on a wide variety of missions. Fluent in French and English, he will manage to keep your workforce engaged and dedicated to the project. Mickaël, recruitment and HR project specialist. Mickael started his career in a recruiting consulting firm in Montreal. After a few years, he came back to France and worked for the European leader in inter-company children nursery management. More specifically, he worked on the redesign of the mobility and recruitment processes for all the employees of the group (4000). He also worked in a digital consulting firm in Montreal, wherein he assisted many companies in the management of their social networks and SEO strategy. Trilingual in French, English and Spanish, Mickaël will be able to help you during your HR and HRIS international projects. Elizabeth is a dedicated HR Professional with solid experience in partnering with business leaders to achieve corporate excellence and drive human resource initiatives. Holding a master’s degree in Work & Organizational Psychology accompanied by international experience in the field, Elizabeth is adept in professionally balancing organizational needs with human capital. Providing vision and counsel in steering organizations through periods of accelerated growth and digital transformations surround the core of her career in HR. Having lived in 4 countries and fluent in 5 languages, Elizabeth is committed to supporting a productive and engaged personnel all around the globe! Thanks to her international HRM master’s and various experiences acquired through different projects, Minh Hang is capable of covering different talent management topics (international mobility, training, recruitment). Her expertise in tools such as Peoplesoft and Taleo will also enable her to support you in your HRIS projects. As Hang has worked in Asia and Europe (startup, multinational group, headhunting firm and non-profit organization), her linguistic capacities (English, French, Vietnamese and notions of Korean) and her intercultural acuteness will be an asset to cover any international projects and offer you multifaceted proposals. After a Master’s degree in Human Resources, Léo is at ease on many HR issues including recruitment and HR development. Thanks to his international experience (4 countries and 3 continents), Léo masters three languages (French, Spanish, English) and enjoys working in an intercultural context. Having contributed to the implementation of a HRIS solution for 100’000 employees in 33 countries, he will meet your expectations and support your employees. Holding a degree in Law and in Human Resources Management, Charlotte has a solid experience in the retail and industrial sectors. Her contribution to these projects allowed her to develop an expertise in Digital Transformation, Recruitment, Performance & Goals, and Change Management. After a long expatriation in the United States, she provides her clients with her international culture and her ability to adapt. Her business expertise, ability to listen and great responsiveness allow her to support her clients in their digital restructuring project, to improve their efficiency and time. Has chosen our Business support & PMO offer for the deployment of SuccessFactors. Has chosen our Counselling and Business support & PMO offers to support them in the definition and choice of their HRIS supplier. Has chosen our Business support & PMO offer for the deployment of Talentia. Hager has chosen our Business support & PMO offer for an integration project (Payroll). Has chosen our Consulting and AMOA offer as part of a full suite of SuccessFactors deployment. Has chosen our Business Support & PMO offer to do an audit of their Time and Activity Management tool. Coty has chosen our Business support & PMO offer for an integration project (Payroll). has chosen our Counselling and Business support & PMO offers to pilot and deploy its Time and Activity Management tool. XPO has chosen our Business support & PMO offer to pilot its French Payroll tool deployment. Engie has chosen our Counselling offer to back up its HRIS optimization project. Manitou has chosen our Counselling offer to run its HRIS business case.